For balloon payload power supplies think - compact, lightweight and able to withstand cold – the obvious choice is some form of lithium battery pack – but which? Photo Lithium (Lithium Manganese dioxide Li-MnO2) – normally 3.0V per cell – good operating temperature (down to –40deg C) – more able to stand sustained loads – with AA batteries offering sustained loads of 100mA or so and occasional peaks upto an amp (enough to operate motor wind on mechanical cameras). These have a very similar energy density per unit weight to Lithium Thionyl chloride. Lithium Iron DiSulfide (Li/FeS2) - e.g. Energizer E2 L91 or L92 - These are 1.5V batteries which can be used as a direct replacement for ordinary Alkalines. They have Good temperature characteristics (down to -40 deg C). As good if not better current handling characteristics to the Photo Lithiums. Similar (possibly better) energy density to Lithium Thionyl Chloride/Photo Lithiums. Energizer publish a comprehensive datasheet including temperature performance profiles for their cells here. 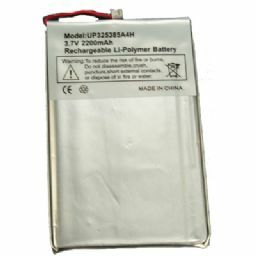 Lithium Polymer (Li-Poly) – normal voltage 3.7V – fair operating temperature range (down to –20 deg C see http://www.ibt-power.com/Battery_packs/Li_Polymer/Lithium_polymer_tech.html) – excellent current handling characteristics. The big advantage of these cells is that they are re-chargeable (with the right charger). 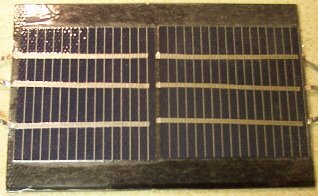 These have about half the energy density per unit weight of Lithium Thionyl chloride/Photo Lithium/Lithium Iron DiSulfide. Li-pos are well known for how easily they combust. Charging and discharging too fast, discharging too much and puncturing can all cause fire or explosions.